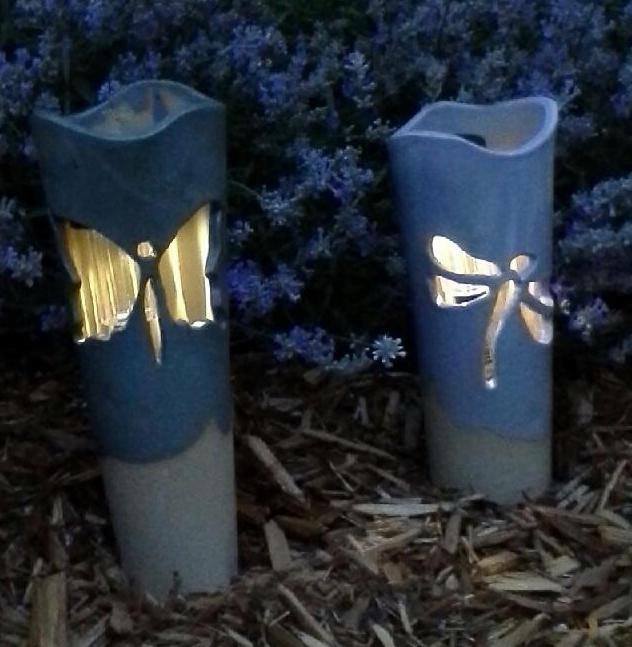 Design your own pottery cover to create patterns of light in your garden or flowerbed. Come join in Susie's class and make 2 light diffusers. 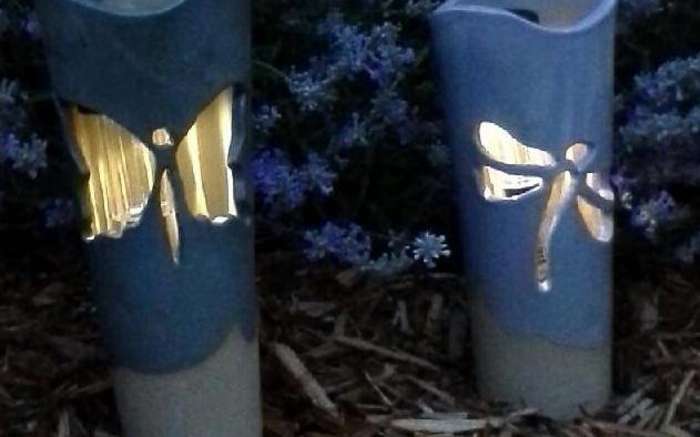 Create your designs either free hand or stencil and select the color of glaze.Your pieces will be fired and finished off-site and returned to the gallery. All supplies included as well as 2 solar light sticks. Have fun choosing your design and glaze colors too.